This is a great post! I think it inspires more people to keep writing even when it doesn’t seem like it’s getting anywhere! Thank you! I’m glad I could make you feel that way. XD Keep writing! I believe research has shown that successful people have a higher number of failures in their lives. 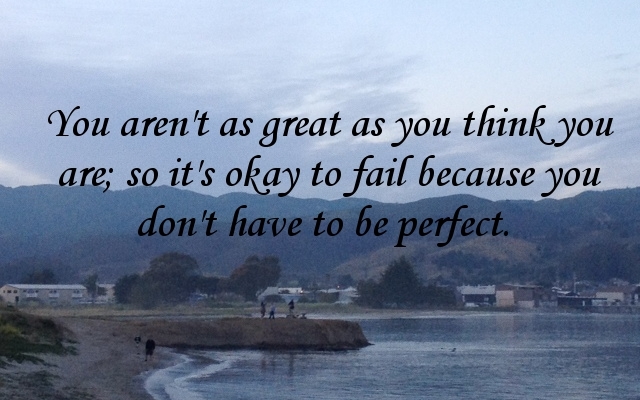 It is how you deal with failure that counts. Ever notice that sometimes the trip is more rewarding than the destination? Yes! Sometimes the struggle, though frustrating, can be the most defining. nice post, only the dead are perfect.